Towards the end of 1968 Jaguar were the first company to sell a production car, the Jaguar XJ6, fitted with modern Low profile radial technology in the size ER/70VR15. ER/70R15 is the same as a 205/70R15. In 1970 Michelin capitalised on the new low profile tyre technology with their extremely high speed rated Michelin XWX, rated to 170mph (270kph). When the UK police used the XJ6 Jaguar they fitted the 205/70Vr15 Michelin XWX for safety reasons and for the improved handling. Michelin still make the 205/70VR15 Michelin XWX with a W speed rating today. The 205/70VR15 Michelin XWX is the ideal tyre to fit Jaguar XJ6, Jaguar XJS, Jaguar E-type (Series 3) V12, Maserati Merak (rear). Many cars that would have fitted 670-15 or 640-15 Cross ply or the full profile radial tyre 185R15 might want to fit a low profile alternative, in which case the Michelin 205/70R15 XWX would be excellent because it is a period tyre designed exactly for that job. Other cars that would benefit are the Aston Martin DB4, DB5, DB6, Ferrari 250GT Spider, Ferrari 250 GT Lusso. 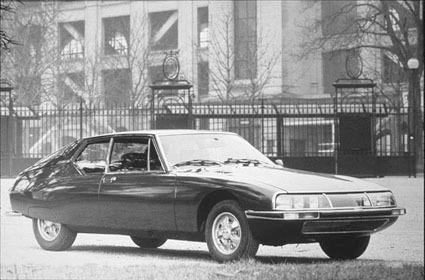 Though there are a variety of tyres in the size 205/70 VR 15 If you have a Citroen SM, then you really need to fit the Michelin XWX 205/70VR15. The Overall Diameter of the 205/70 VR 15 Michelin XWX is 669 mm and the width is 209 mm. For more information on the 205/70 VR 15 Michelin XWX please see below or call +44 (0) 1302 711 123.